Summer is the season of love! The summer months are the most popular time for weddings, and Shop LC has inexpensive jewelry suited for brides, bridesmaids, mothers of the bride and fashionable guests wanting to look their best at a loved one’s wedding ceremony. From unique engagement rings to bridal party jewelry, bridesmaid gifts and more, say, “I do!” to summer wedding jewelry from Shop Low Cost to save big on jewelry, accessories, and gifts for the special day! Check out the style guides below to see what pieces are best suited for your particular look. 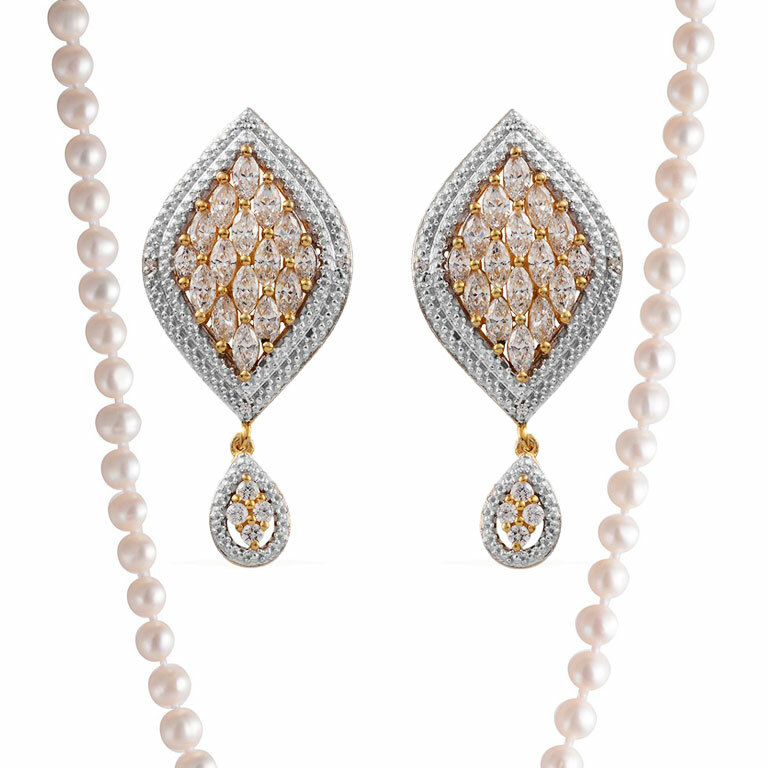 J Francis Swarovski Crystal Earrings and Freshwater Pearl Necklace. Make a bold statement with our collection of exotic gemstones. Looking for a unique engagement ring? Or perhaps you want the best deal on a beautiful rock to use as costume jewelry. No matter what you’re in search of, Shop LC has a wide range of IGI-certified gemstones, as well as stunning emerald, sapphire, ruby, tanzanite and fancy diamond engagement rings. 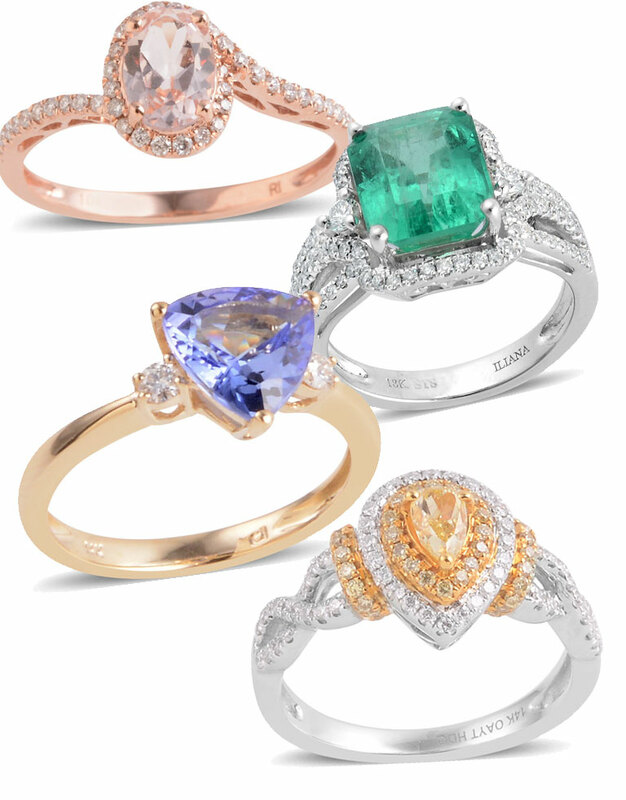 Engagement Rings: 14K Rose Gold Morganite and Diamond Ring, 14K White Gold Emerald and Diamond Ring, 14K Yellow Gold Tanzanite and Diamond Ring, and Fancy Canary Yellow and White Diamond Ring. Popular pieces like classic pearls, timeless diamonds, and stunning Swarovski crystal never go out of style as summer wedding jewelry. Every bride can find something that’s just right for her walk down the aisle, whether she wants sparkly jewelry to accentuate her gown, or vintage-inspired pieces to pay homage to wedding looks of decades past. Shop our jewelry, hair accessories and more for the best deals on stunning looks for your big day. Swarovski Zirconia Earrings and Swarovski Zirconia Bracelet in Platinum Overlay Sterling Silver. 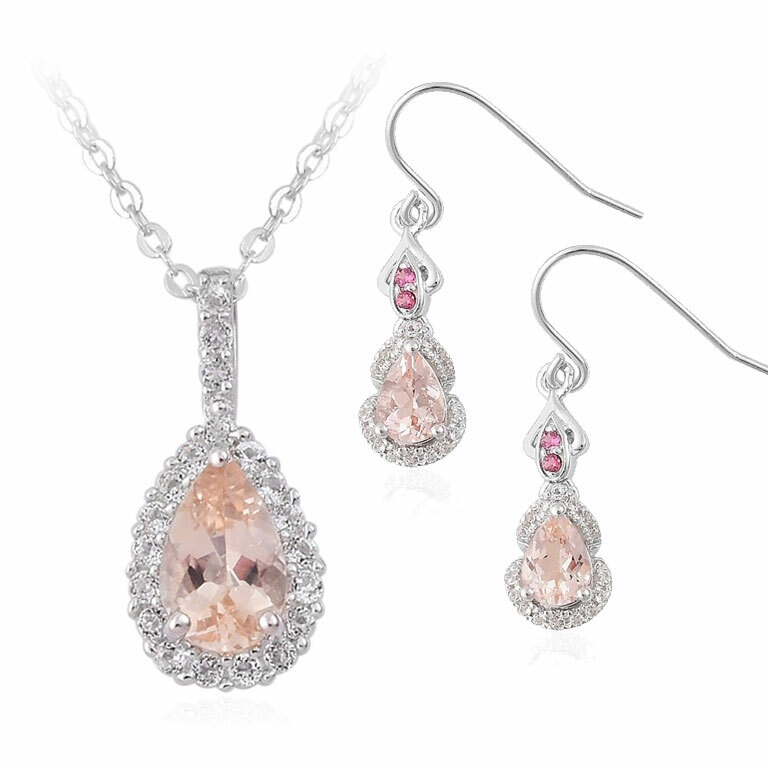 Morganite and White Topaz Pendant Necklace and Morganite, Garnet and White Topaz Earrings in Platinum Overlay Sterling Silver. Your bridal party will stand beside you on your special day, and be a part of your life for years to come. 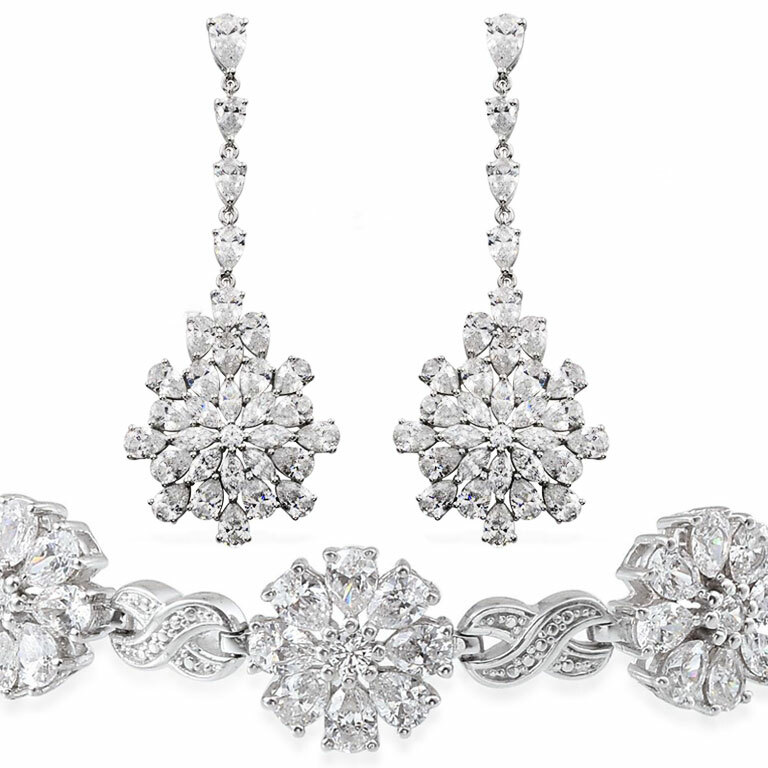 Why not treat them to some glamorous jewelry sets to match their gorgeous gowns on your wedding day? 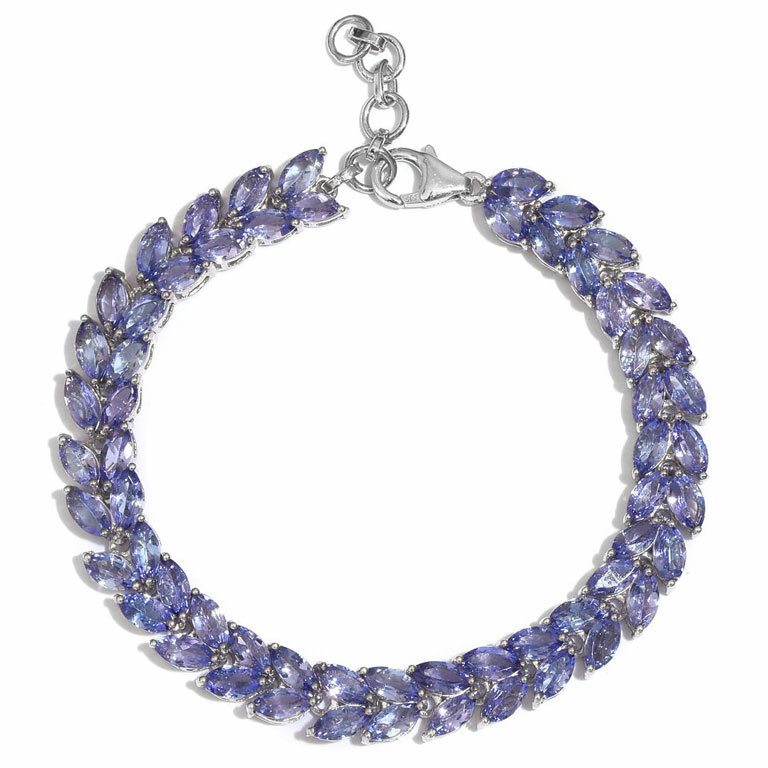 Shop Low Cost has no shortage of gorgeous, inexpensive jewelry pieces that are the ideal gifts for bridesmaids, no matter your budget. Give your family and friends a beautiful reminder of your treasured day to thank them for celebrating one of the biggest moments of your life with you. Set of 3 Swarovski Crystal Stainless Steel Necklaces. 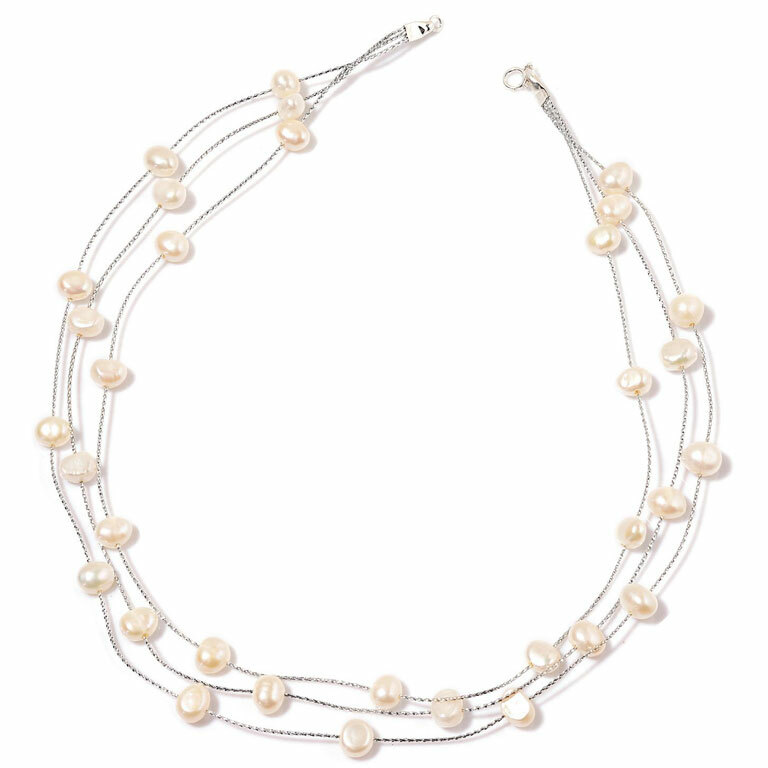 Multi-Strand Freshwater Pearl Sterling Silver Necklace. 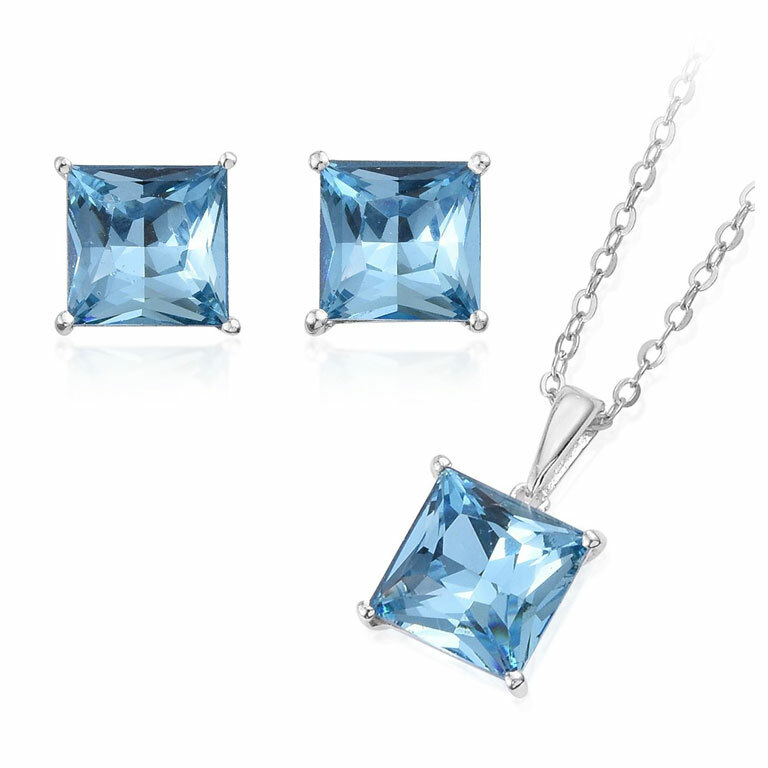 J Francis Swarovski Aquamarine Crystal Pendant Necklace and Earrings set. Don’t forget to wear “something blue” on your special day! 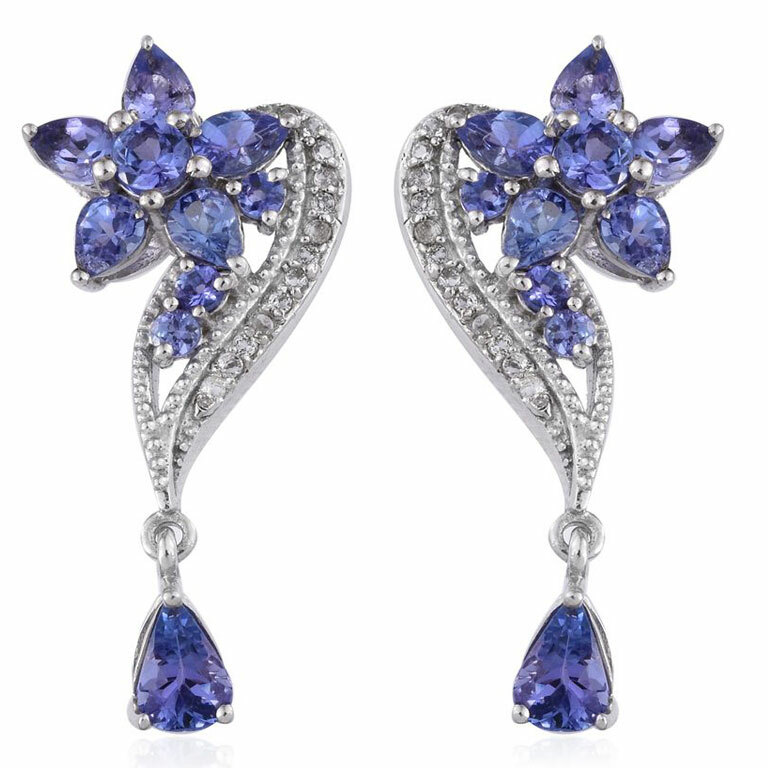 From subtle periwinkle to deep ocean blue hues, Tanzanite dazzles in a variety of bridal jewelry shades. 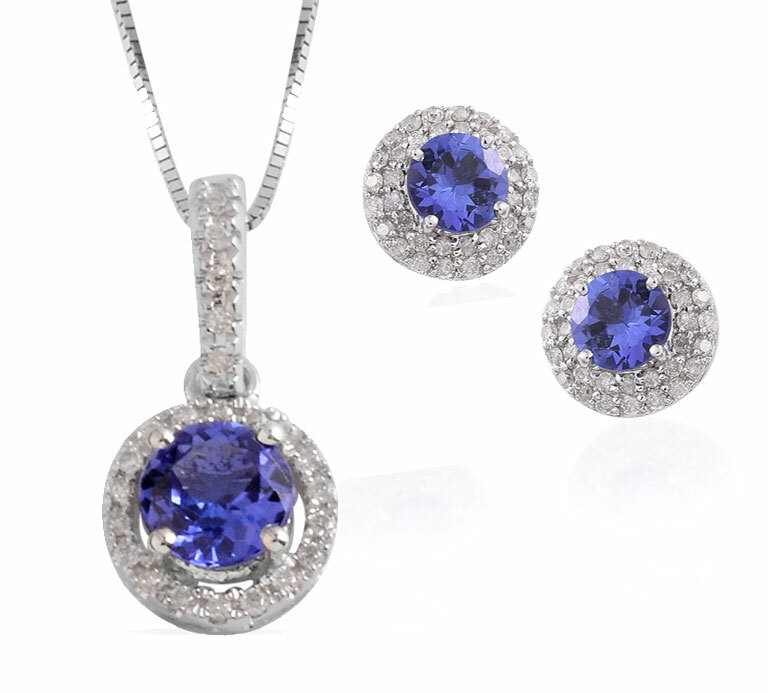 Find the perfect blue tone to complement your complexion and gown with our Tanzanite wedding jewelry that is every bit classy as it is unique. Shop LC is the largest site holder of tanzanite in the world, so we guarantee to bring you the best selection of this mesmerizing stone at spectacular prices.